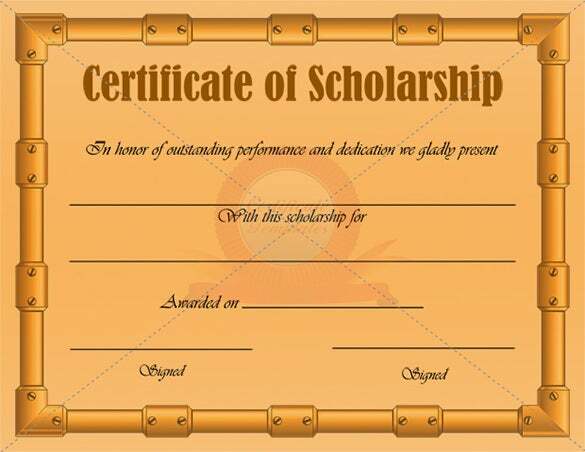 Feeling that you want to further your studies and you do not know where to get financial assistance. 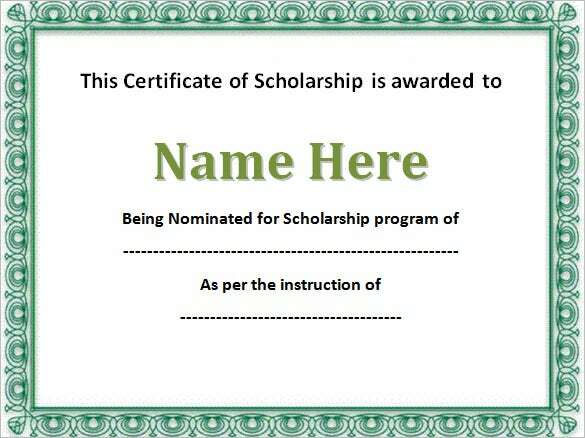 You can seek for companies or colleges that offer scholarship and apply for it. 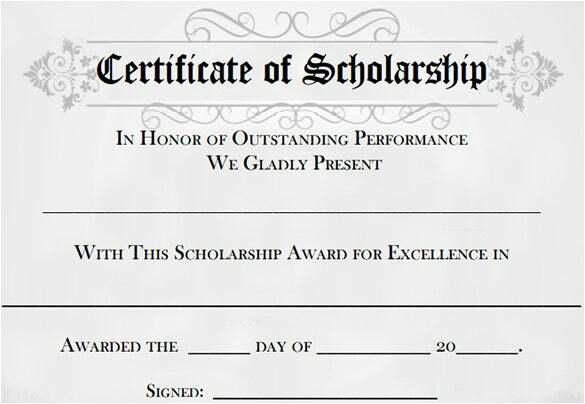 A scholarship is an award of financial support provided by someone or organization to applicant be it student or any other individual. 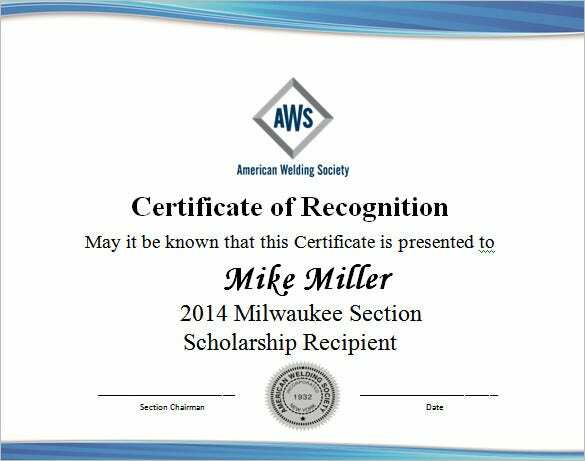 The recipient does not pay back scholarship fund. You can also see Preschool Certificate Templates. 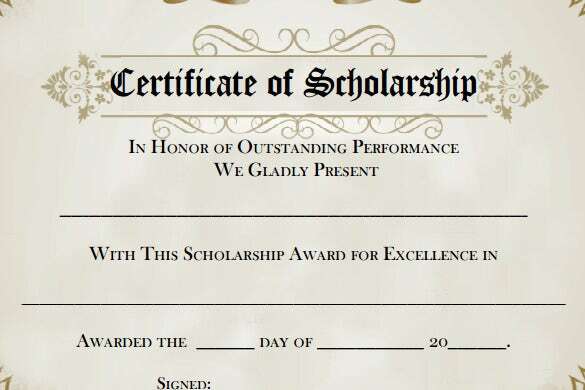 Commonly scholarship certificates are given to bright students or needy student based on their achievements and accomplishments in academic areas. 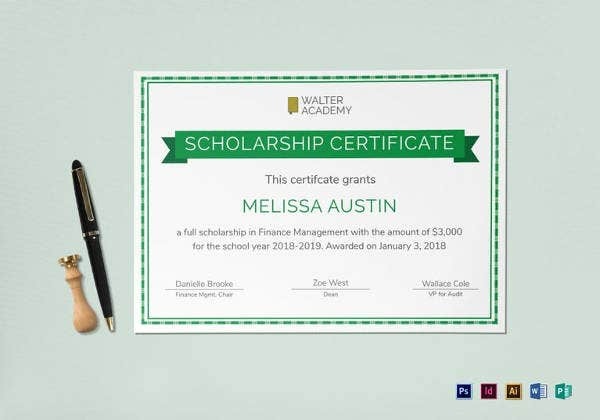 If you wish to create certificates to issue scholarship, there is nothing amazing than using a fancy scholarship blank certificate template. 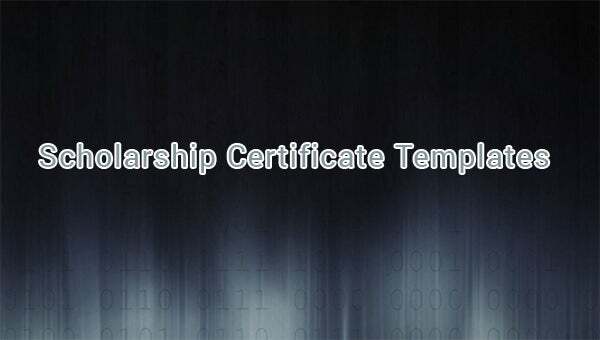 The templates will guide you to design your own certificate within the least time possible. With the help of template you will be making someone smile as well as assisting, them achieve their desired objectives and goals. 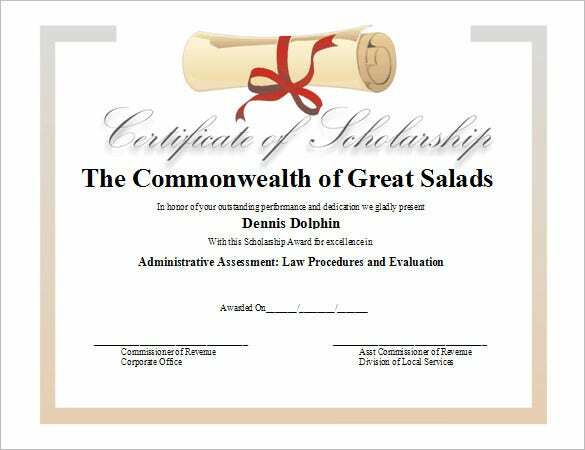 With Blank scholarship certificate template, you can generate the best certificates, which you can use to appreciate academic excellence. It is important to note that the templates come in several formats and style. 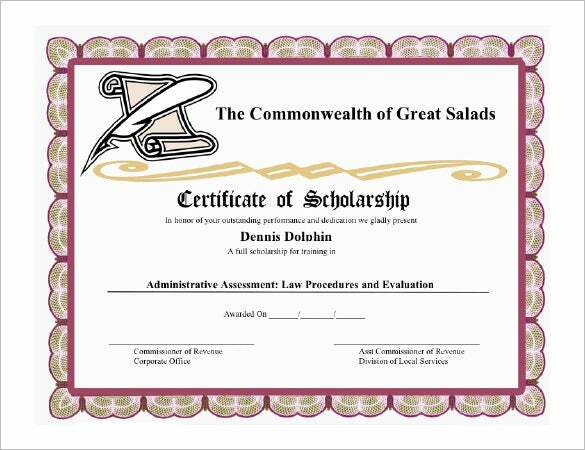 You can choose the one that best fits you, and then use it to make your certificates. You may use the templates as is or may opt to customize them further to meet your precise needs.